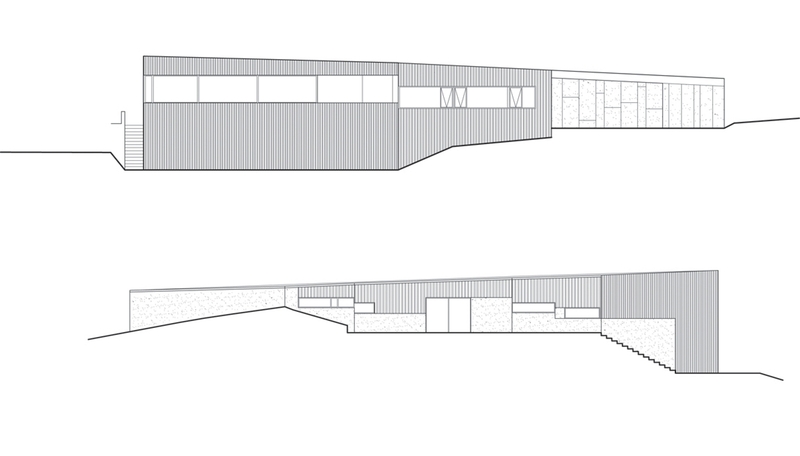 Placed within an array of houses exhibiting individual "expressions", a fundamental organizing system was sought for the project. 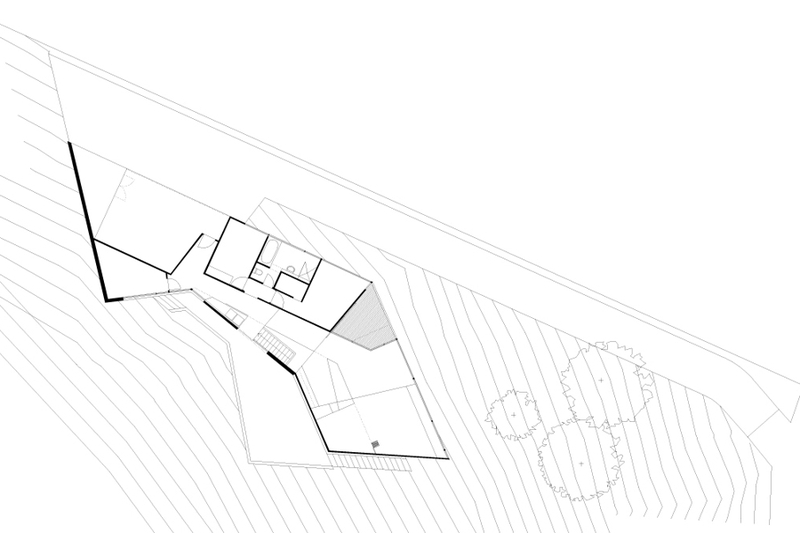 Continuing investigations within the practice into paths and lines within the landscape led to the consideration of a path from the road below, up to the garage and entry and then winding around back on itself to run along the contour to an elevated position. 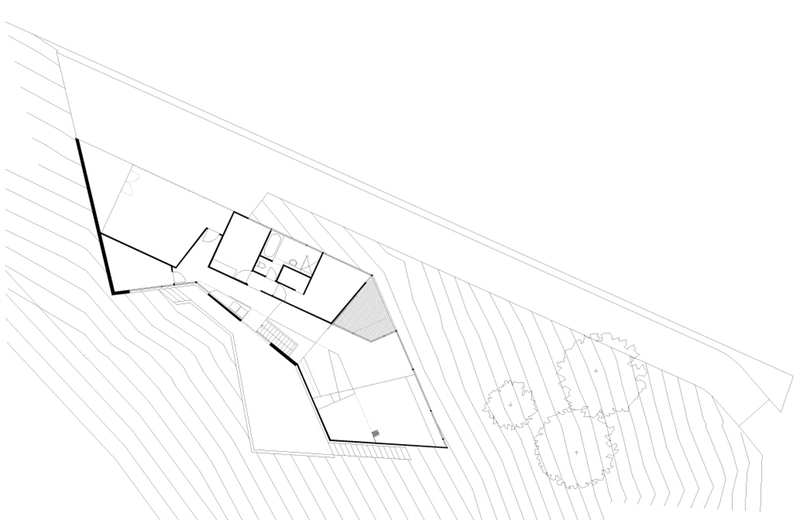 This path thus provides an invisible armature around which the house itself is formed and is underlined by a key wall running the length of the house. 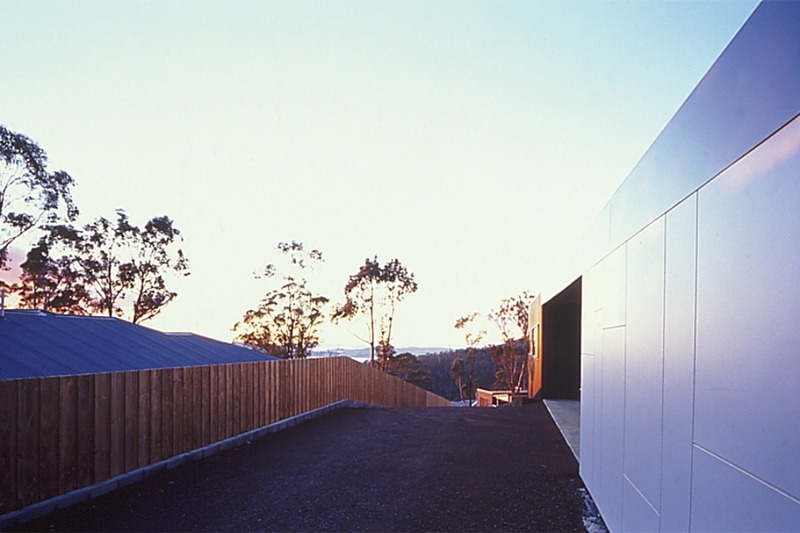 Behind this wall, service spaces are located as "poche" elements that, combined, create a major thickening to the rear wall of the house in contrast to the thin razor-sharp line of the wall to the view. 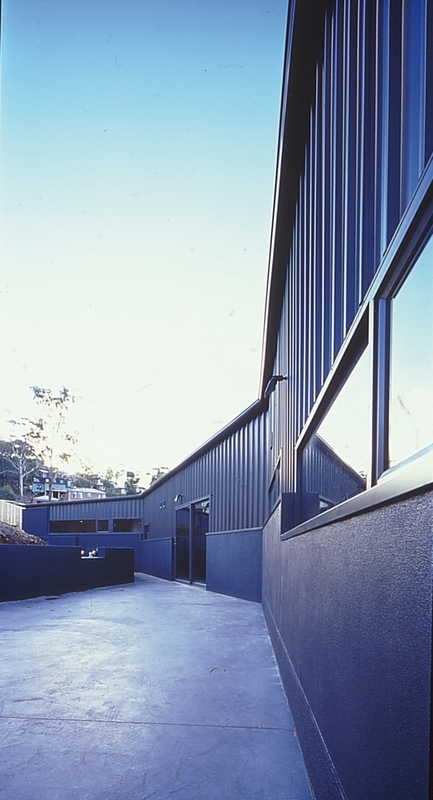 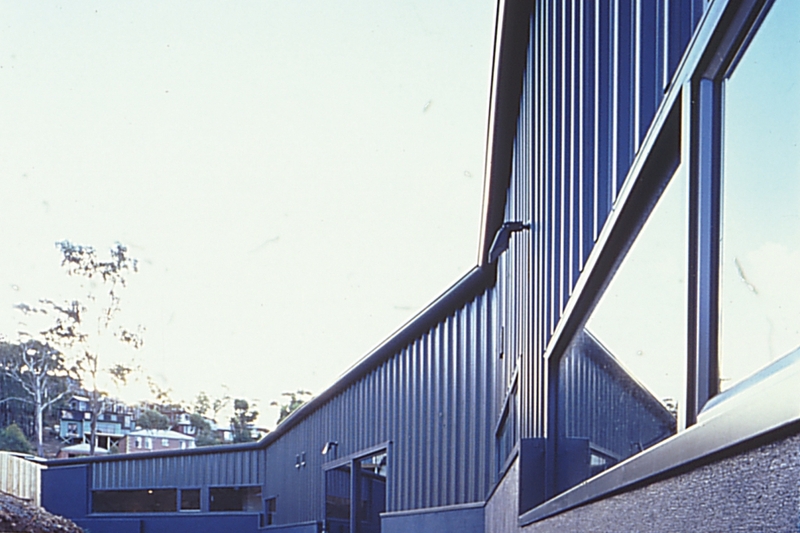 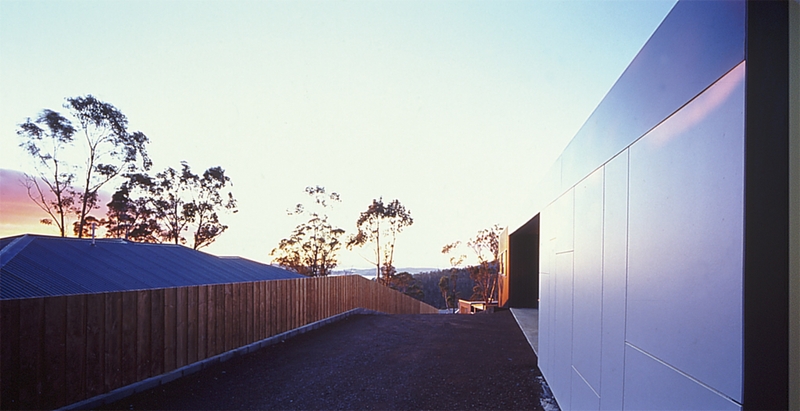 The visual "noise" of the adjacent houses resulted in a reflective response - a "house as shadow". 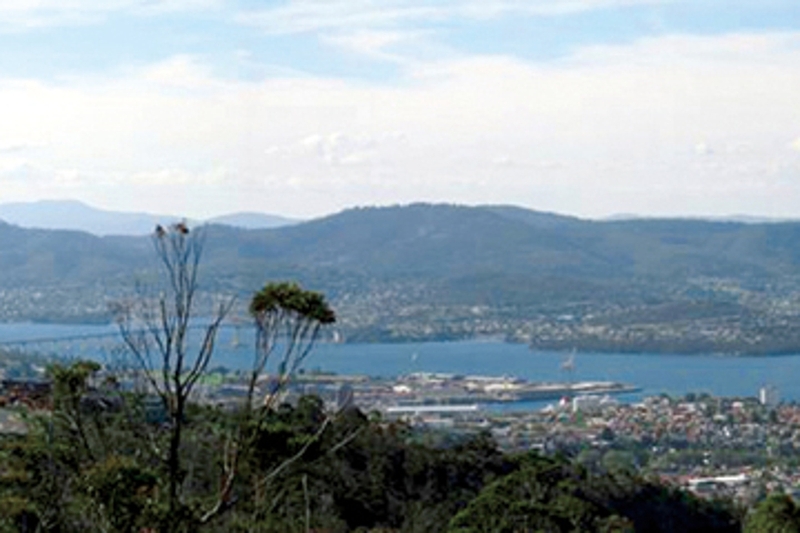 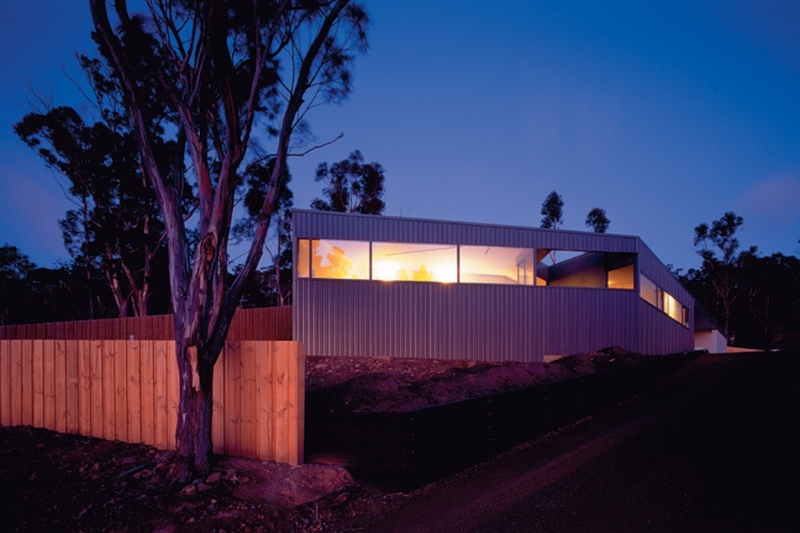 A decision was made to respond to the hillside development by the simplest formal response and colour palette possible. The house cranks around the contour, offering little resistance to the natural landform and at the rear cradling a group of mature eucalypts that anchor the house. 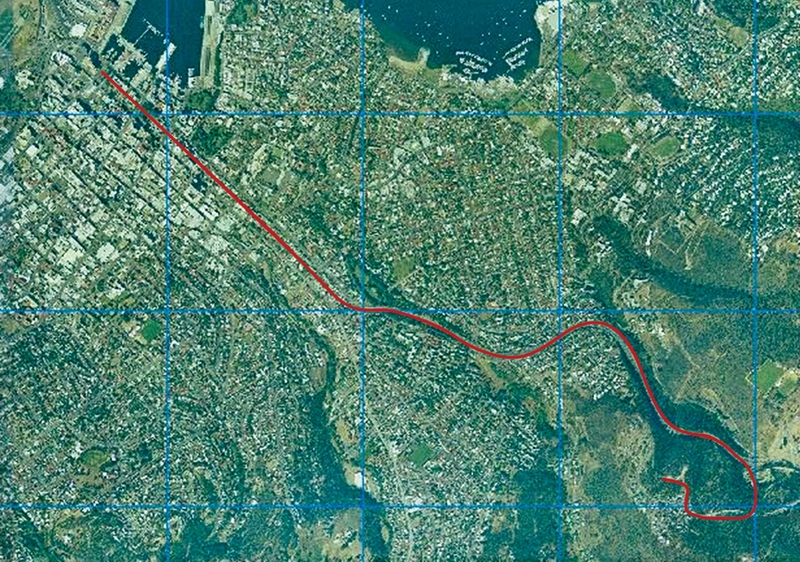 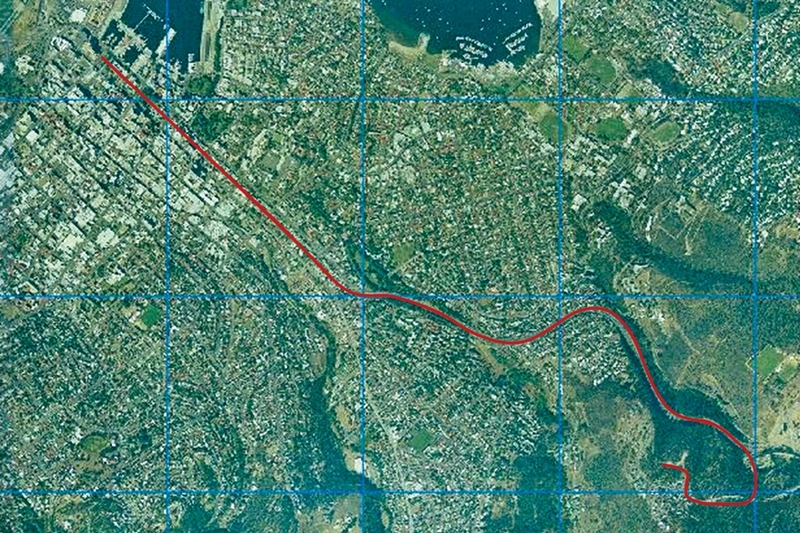 The clipped nature of this diagram - a single container with a clearly defined boundary and minimum threshold - reinforces the defensive relationship to the adjacent suburb. 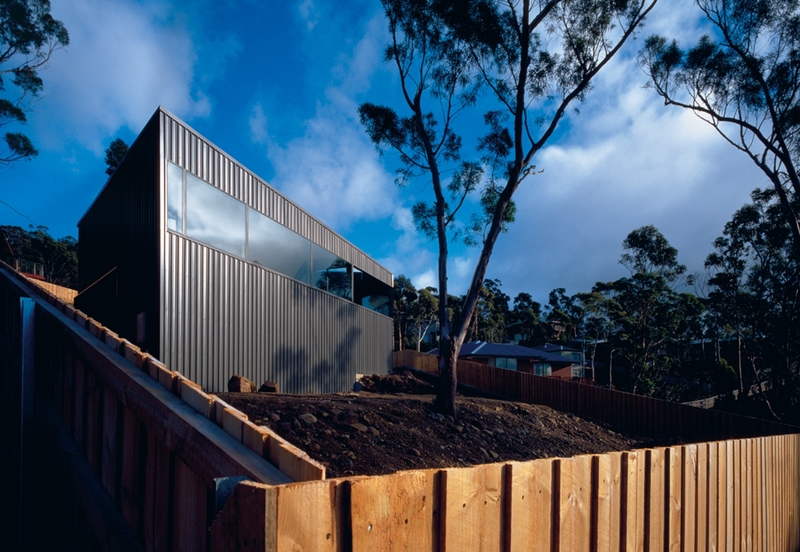 The front of this cranked form is clad in slate grey metal decking to completely disappear into the bush, while the rear of the house and courtyard is anchored by a masonry base. 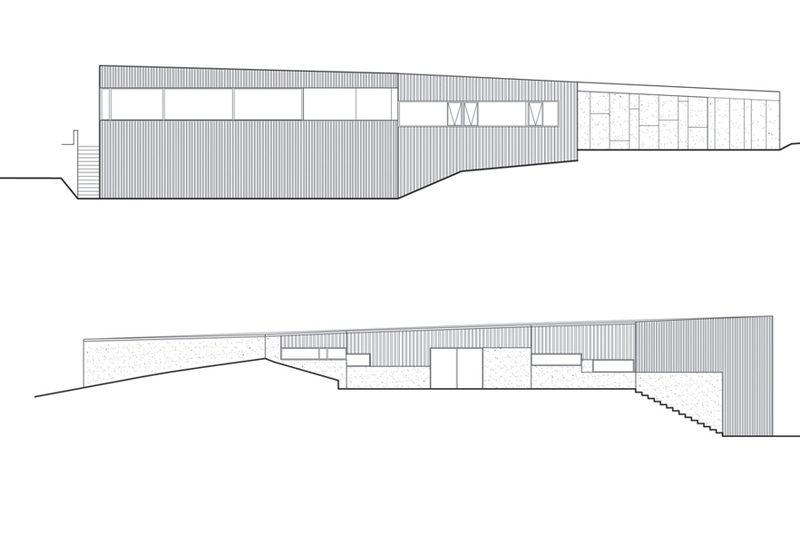 The front elevation is embellished by a series of metal "sticks" that recall the silver trunks of the adjacent trees and provides an abstract identity for the dwelling from the approach. 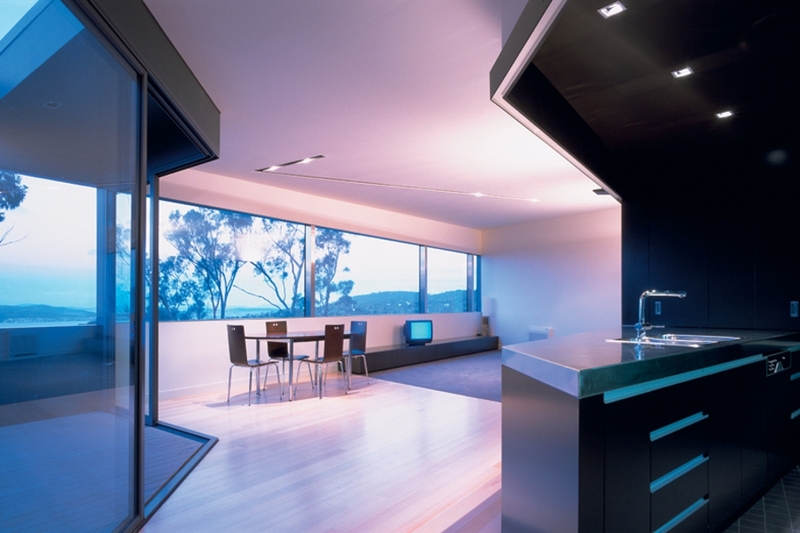 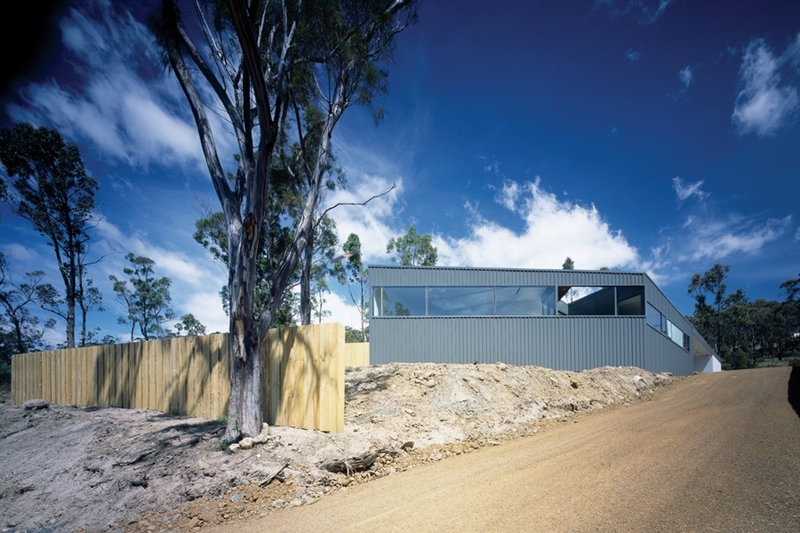 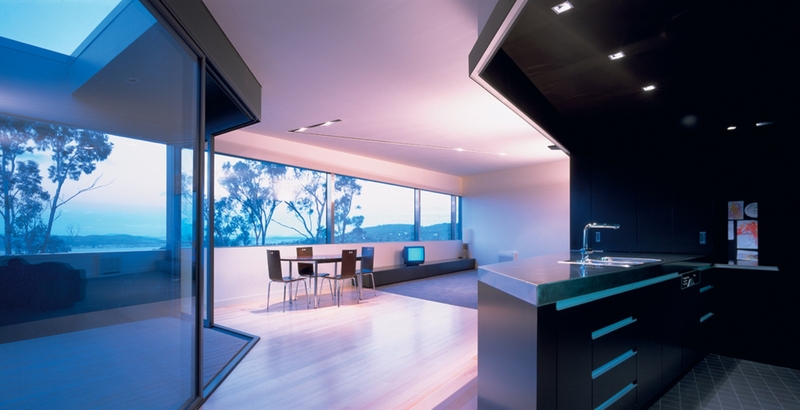 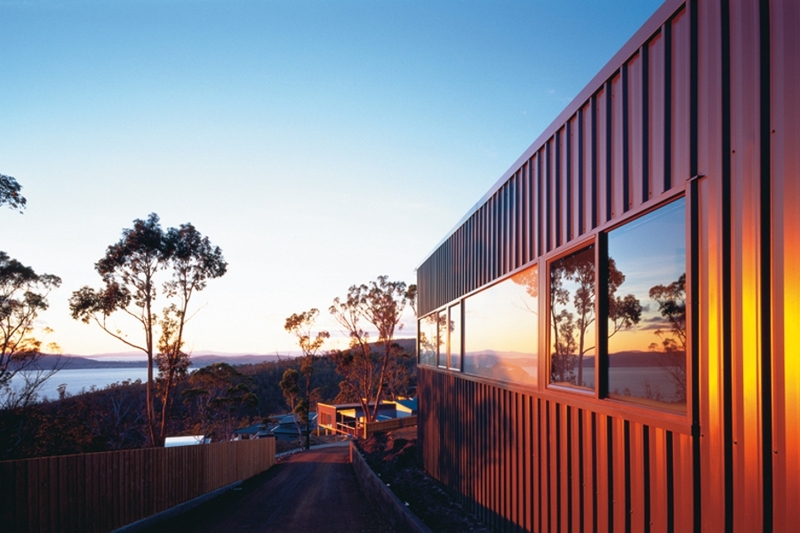 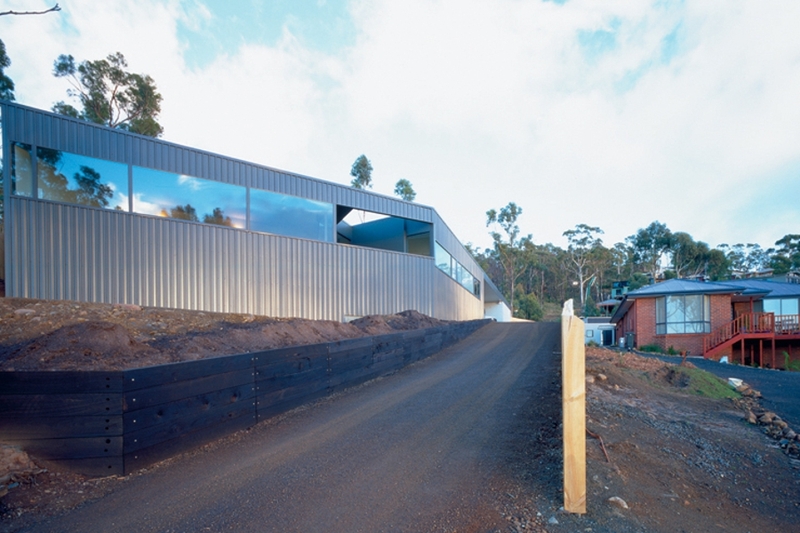 2005 Tasmanian RAIA Awards WINNER Residential New Award.